Sony making smaller loss on every PS3? Sony's plan to make the PS3 more popular seems to have worked, except it's still apparently making a loss on every console it sells. 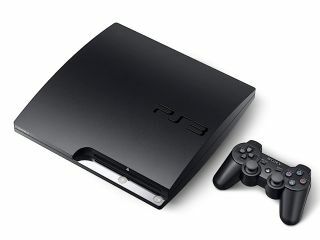 According to the WSJ, Sony loses around six cents in every dollar when selling a PS3 – although this is down from around 13 cents in the dollar when the console was originally launched. Sony Chief Financial Officer Nobuyuki Oneda has stated that the company is working on reducing the production costs of the PS3 by 15 per cent in the next financial year, meaning that Sony might finally have a chance of turning a profit on PlayStation sales. At least there was better news in other areas of the company – Sony posted a small profit for the third quarter of last year, as well as a rise of 44% for overall PlayStation sales, thanks mainly to a price drop for its costly console. Last December, an iSuppli breakdown of parts used in the PS3 showed that there was still a loss of £23 per unit sold – so either cost projections have altered, or Sony is getting the parts cheaper than iSuppli's estimates. Oneda said that with the constant restructuring promised for the PlayStation 3, the company hopes to benefit to the tune of "tens of billions of yen".